Stretching is one of the most important things you can do to keep your body healthy and injury free. It will help maintain your bodies biomechanics, improve blood flow to your muscles (which helps them heal and strengthen more efficiently), and allows you to complete exercises through the full range of motion to maximize the benefits of each movement. 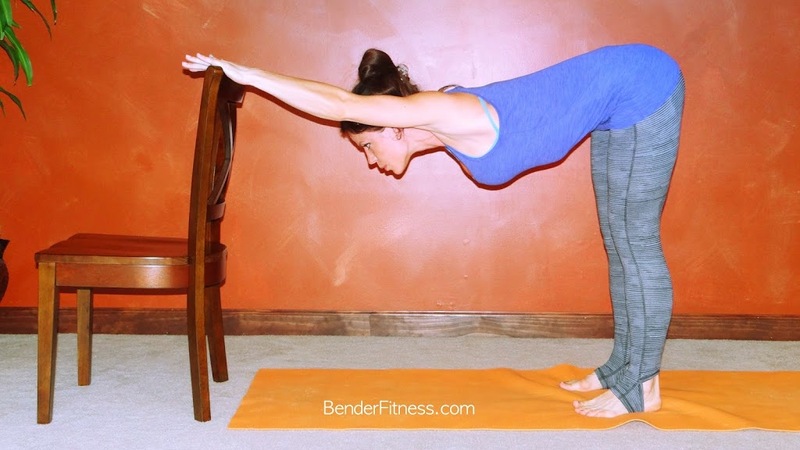 This is my post-run stretching routine, but it can be used after any workout. Pre-workout you want to do dynamic stretching (check out Jesse’s Running Warm-Up and Cool Down here.) Post workout you can transition to static stretches as demonstrated in the video below. As a result I had minimal soreness after my race. I noticed some soreness through my quads when walking down stairs. I repeated this routine for the first three days after my race to avoid late onset muscle soreness. Often people find that the true soreness doesn’t kick in until two days after a hard workout. I plan on continuing with this stretching routine, as I have noticed a decrease in my flexibility, and I want to improve/maintain my current abilities. I hope you all enjoy this stretch routine! 2. Mix your running surface but try doing 80% on trails 20% on hard surfaces. 5. Post workout stretch after EVERY and HBW (whole body workout) at least 3 times a week. 6. Your hip and knee pain may be caused by few things but is most likely that your body is not adjusted for new kind of shock absorption. Don’t run in consecutive days, alternate running days with swimming (for recovery, building hip/core/ leg muscle without overloading your joints). Weightlifting (dead lifts, squats, pressing machines) or HBW with body weight. If nothing helps consult physiotherapist and LASTLY a orthopedic dr.
Hi Melissa! Do you know any good lower calf stretches? That is where I get the tightest, so do you have any suggestions?? Please and thank you. Jesse’s warmup link is not working, you might want to look at it, I tried it twice! I fixed it! Thanks for the heads up!